When it comes to the perfect family home look no further. 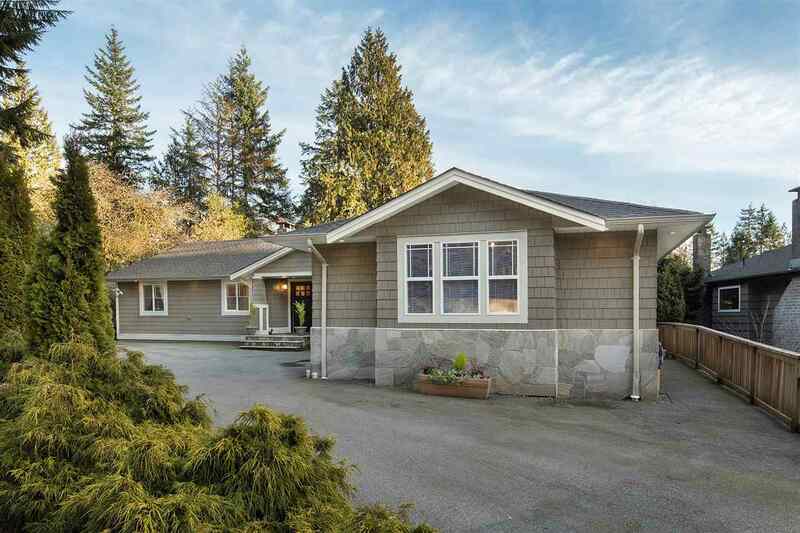 Situated on just under a ¼ acre the Upper Lonsdale, this Crest Built bungalow underwent a substantial renovation in 2005 with beautiful results including oak in-lay hardwood & stone flooring & great floor plan. The main floor features 3 spacious bedrms, formal living & dining space, bright gourmet kitchen with granite countertops & family rm with river rock fireplace that opens out onto a large entertaining sun drenched deck overlooking a truly incredible private backyard. The lower level is all above ground with additional bedrm, rec room & an amazing self-contained 1-bedrm suite. Super safe driveway for playing & riding bikes. Large oversized 2 car garage with additional storage room. Floor Area 3,194 Sq. Ft. Lot Size 12300 Sq. Ft.